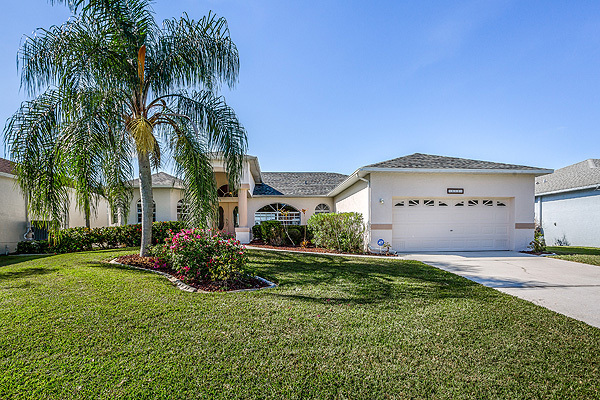 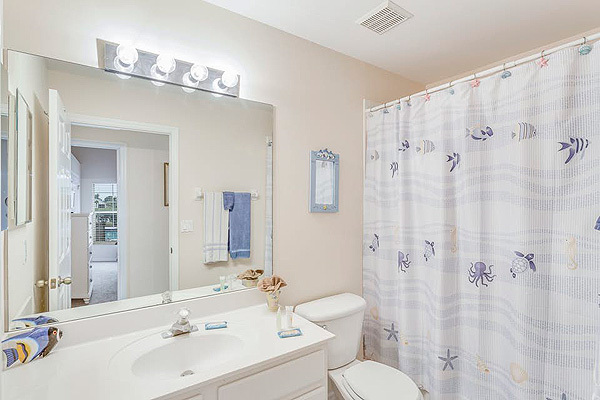 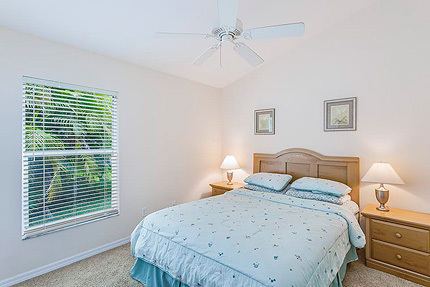 Set in a prime location for enjoying everything the Fort Myers area has to offer. This up-scale community is just a short drive from Miromar outlet mall, Gulf Coast Town Center mall, Bell Tower shops and restaurants and the spring training ground for baseball's Minnesota Twins and Boston Red Sox. 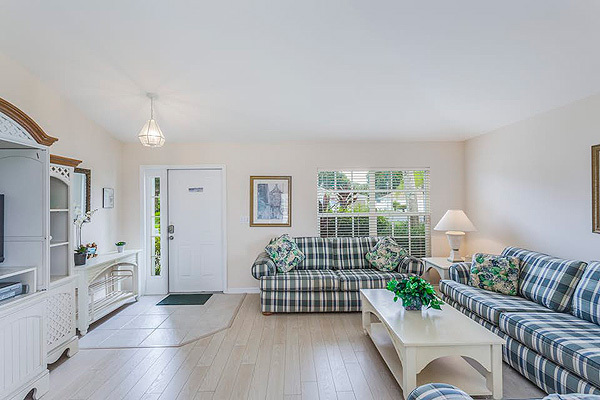 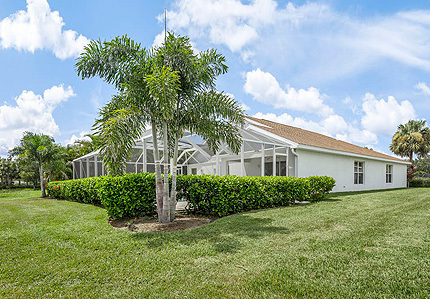 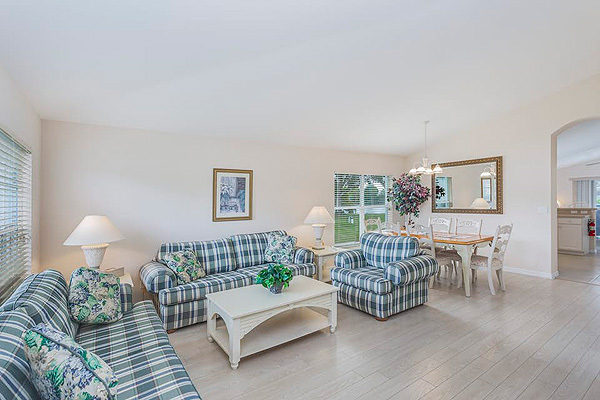 The location is just minutes from many of the areas best golf courses and also offers easy access to the Interstate highway for visiting Naples, Bonita Beach and the Everglades State Park. 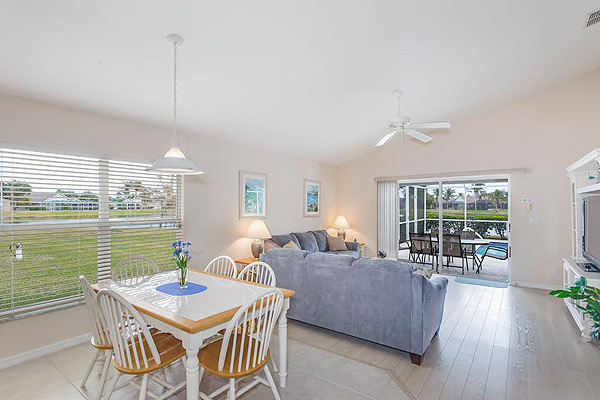 The magnificent gulf beaches of Sanibel Island and Fort Myers Beach are just a short drive away. Wake up to these beautiful views every morning - sit back and relax, live your own Florida dream. 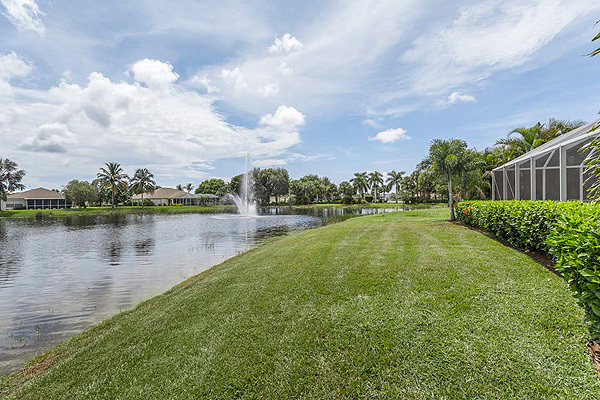 This well-established community offers mature tropical landscaping, upscale homes and an ideal location. 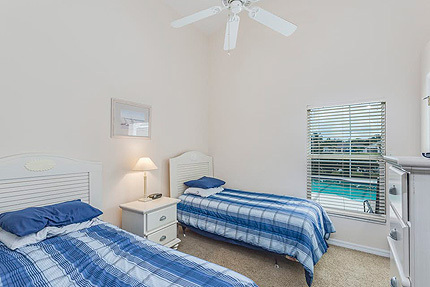 Gulf beaches, downtown Fort Myers, and exclusive shopping malls are just minutes away. Stimulate your senses, this beautiful lifestyle home offers the highest level of modern styling and fine design. 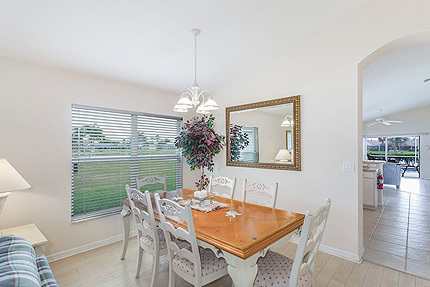 The Interior seamlessly blends light pastel shades and stylish furnishings with a distinctly casual atmosphere. 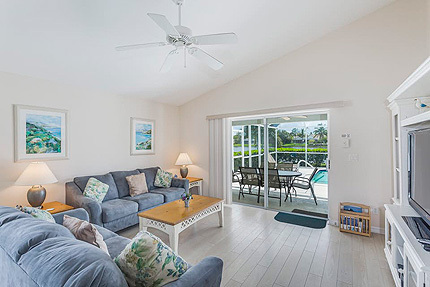 Two family areas have hard wood floors, overhead ceiling fans and double doors leading directly out to the pool and sundeck. Comfortable sofas provide ample seating for eight people and a wide-screen TV completes the living area. 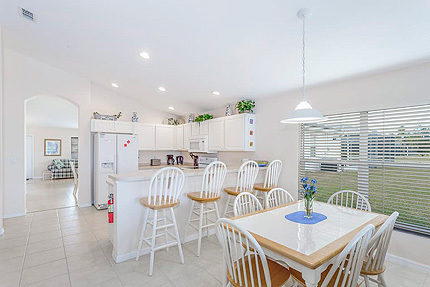 The well-appointed kitchen includes all major appliances, electric stove, microwave oven, dishwasher, refrigerator with automatic icemaker and freezer and is extensively equipped for eight people. 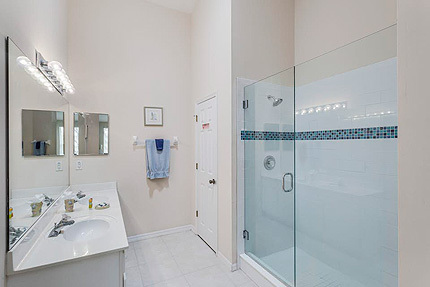 A family washer and dryer is also provided. Dining table and additional seating for six people provides a more formal atmosphere for that special celebratory meal with a breakfast bar and additional breakfast nook for casual dining situated next to the kitchen area. 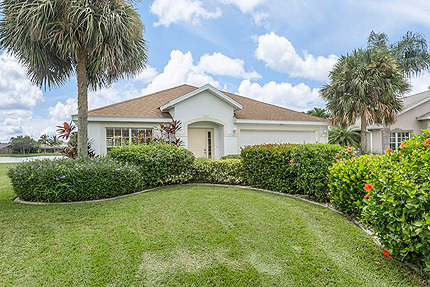 Feature: Stylish waterside home with private south-facing pool and beautiful lake views, peaceful up-scale community of Beachwalk Isles, just minutes from beaches - walk to local shops. 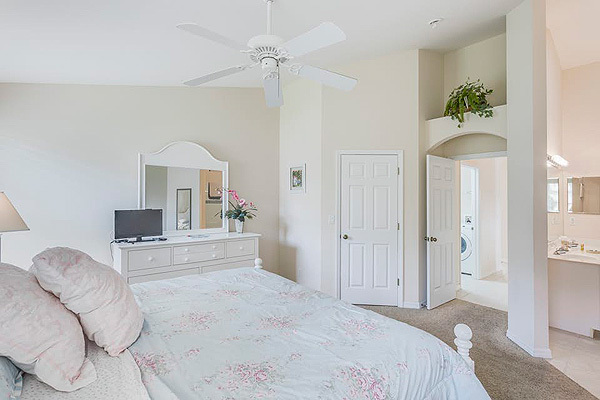 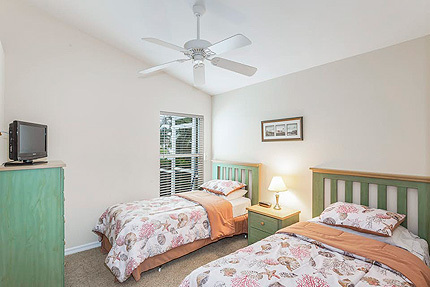 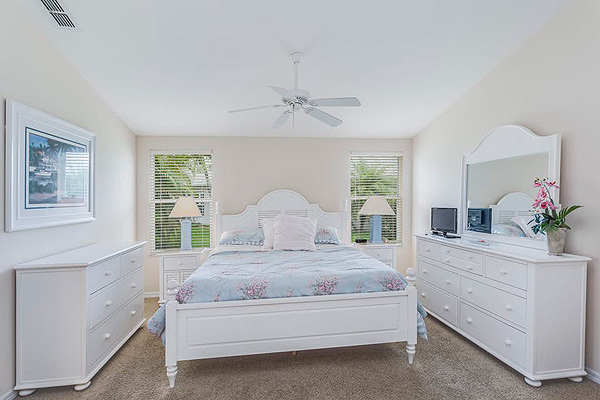 Master bedroom suite features king-size bed, full size dresser, wide-screen TV, overhead ceiling fans, walk-in closet. 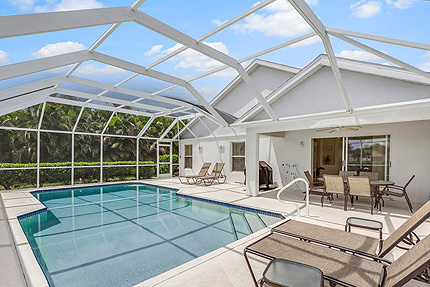 Sorry we do not have a video of Osprey Sound at this time.